Manchester United made it seven wins from seven in the first month of Ole Gunnar Solskjaer's reign and the caretaker boss said he will remember his stint in charge "for the rest of my life". 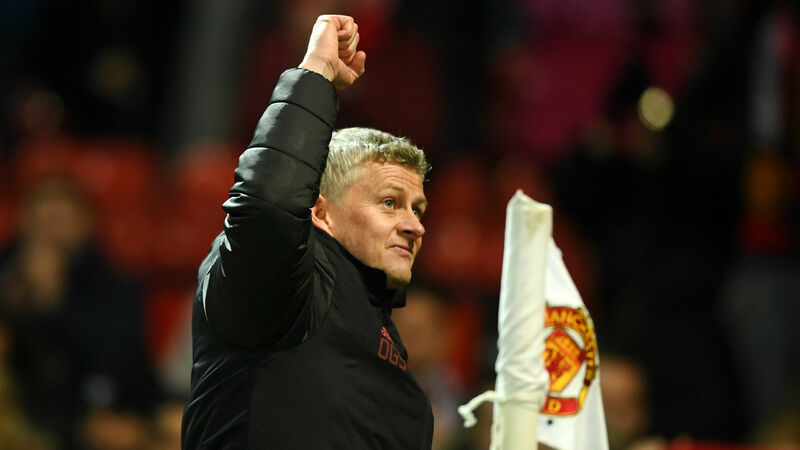 Solskjaer became the first boss in the club's history to win his first six league matches at the helm after Paul Pogba and Marcus Rashford found the net again in a 2-1 triumph over Brighton and Hove Albion, who pulled a goal back through Pascal Gross in the second half. "Fantastic, I can't complain, can I?" he told Sky Sports. "I'm just smiling. It's just one of these things that I'll remember for the rest of my life. "It's been a month now and it's class to be here." Pogba and Rashford have arguably been United's two best players since Solskjaer came to the helm. "He's been top class," he added. "You start with the work rate because that's what he's got - he works like no one else. "He's now calmed down in front of goal, he's very assured, he's practicing all the time – that's his technique but it's also a mindset.